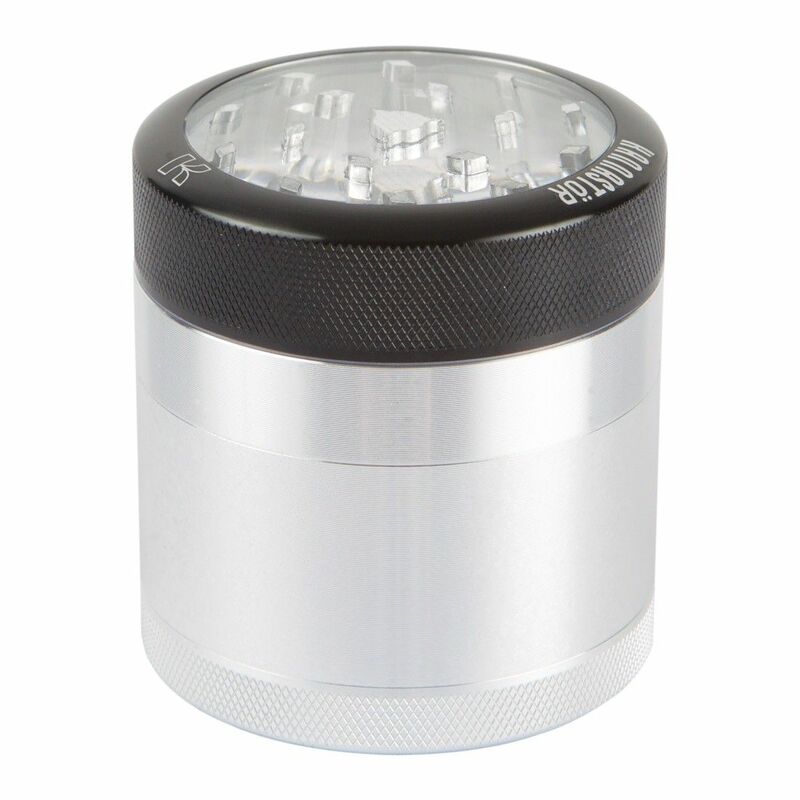 The Small 4 Piece Kannastor Grinder 2.2 Inch brings a new flair to blend grinders by coming in many different variations such as a solid top or clear body. 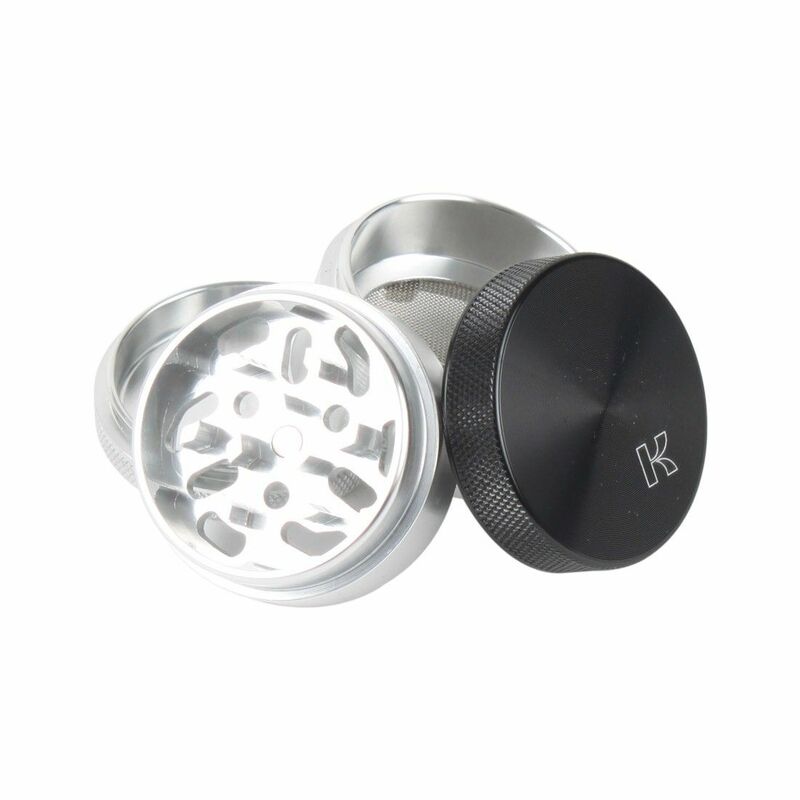 This give the user the opportunity to pick a grinder that fits their needs, some may want a clear body be able to see how much material is left while others may want a completely solid grinder so no one can see in. 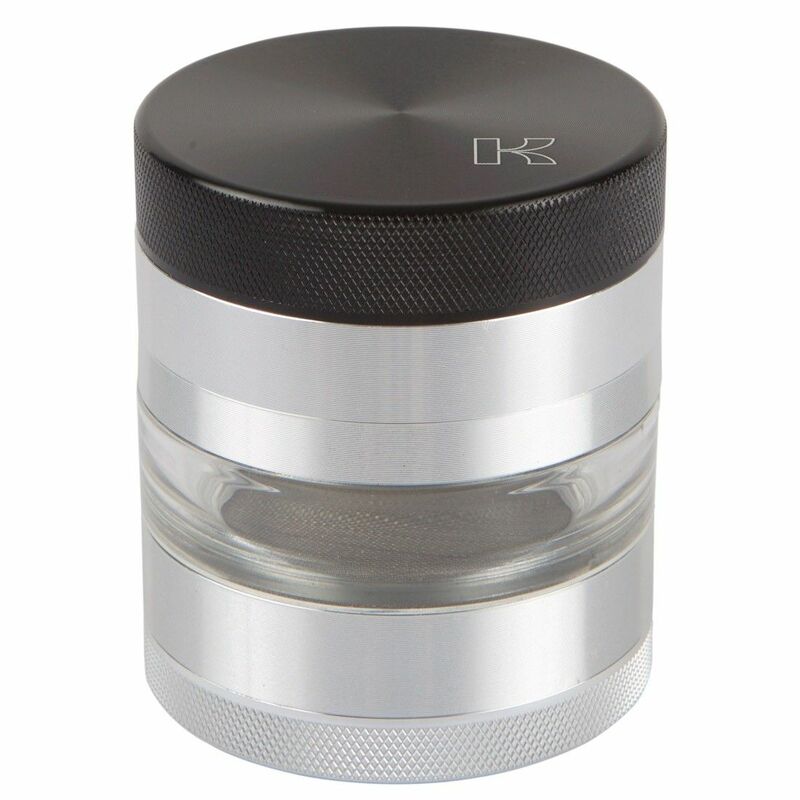 The top of the clear Kannastor grinder features a transparent lid so that you can see your materials as you grind them. 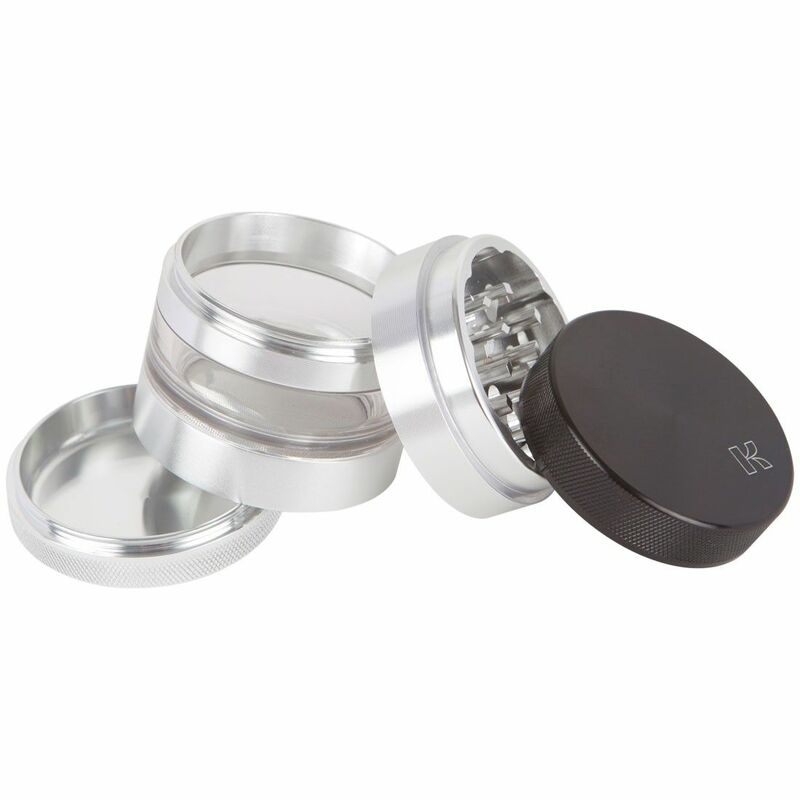 The specially cut holes in the bottom drop your ground materials down to the sifting chamber before they get too small to assure you get an even and consistent grind. Once your materials fall through, they bounce on Kannastor's new Easy Change screen. 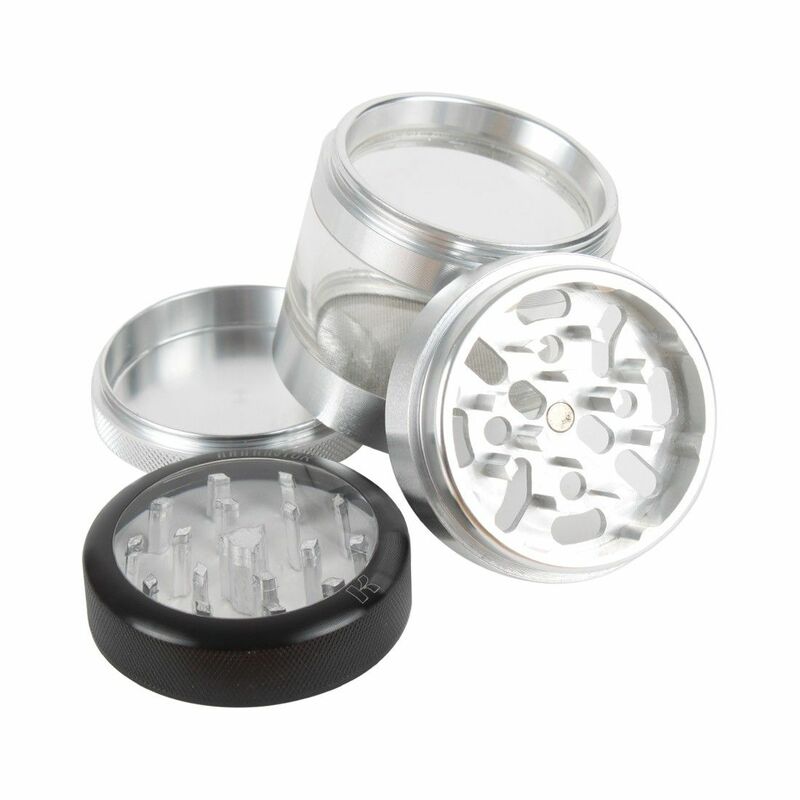 This stainless steel sifting screen can be conveniently removed using just two fingers, allowing for quick and easy cleanings/replacements. 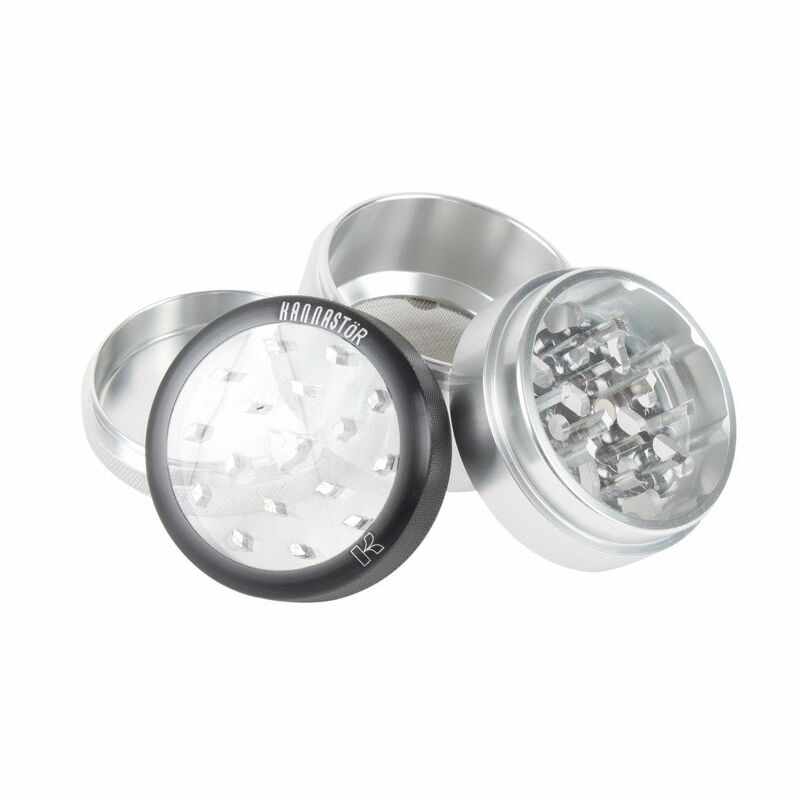 The bottom compartment houses your collected pollen and the included Kannastor scraping pick. 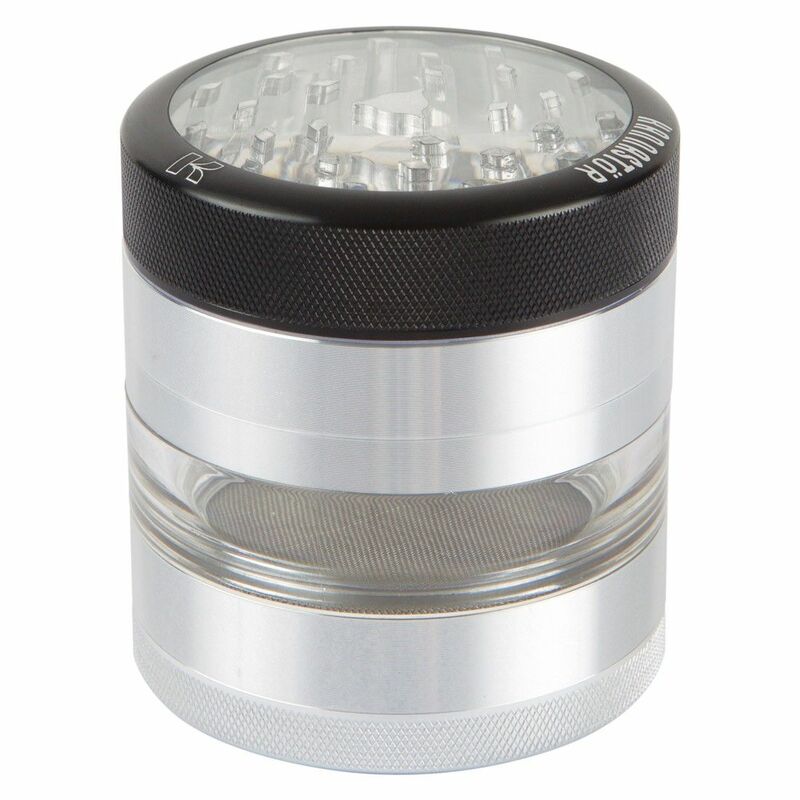 The Small 4 Piece Kannastor Grinder has a diameter of 53mm (about 2.2") and is made with quality materials.